Throughout his life, the 10th Panchen Lama struggled for unity and prosperity of our great motherland. He adhered to his patriotic stance of upholding national unification and ethnic unity especially in the struggle against separatism. 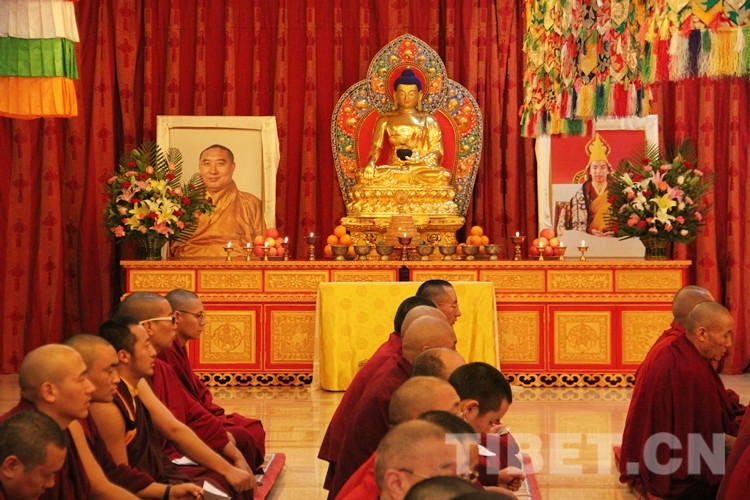 The 10th Panchen Lama summed up his life's thoughts and activities as the "four passions", that is "passion for the Communist Party of China, passion for the socialist motherland, passion for his own ethnic group, and passion for his religious faith". Those are convictions that he held all his life. 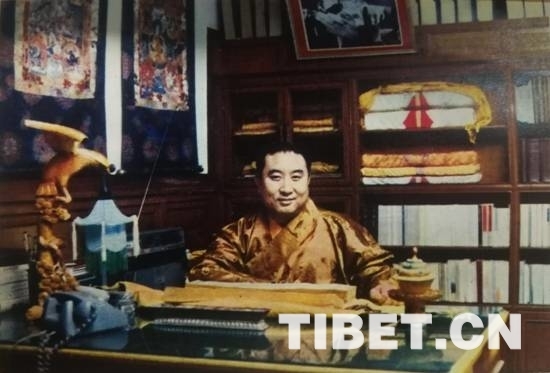 The Panchen Lama in his office in Beijing. The 10th Panchen Lama said many times that "If there was no Communist Party of China, then there wouldn't be today's everything for me; nor would there be unity, progress, and development among the Tibetan people. Therefore, I love the Communist Party of China. These are not rhetorics; they are the expression of my inner voice. I want to inscribe them on my heart and implement them in my actions." When the People's Republic of China was founded on October 1, 1949, the 10th Panchen Lama sent a telegram to Chairman Mao Zedong and Commander Zhu De, enthusiastically praising the founding of New China, expressing his "sincere support and admiration", saying "it is hopeful for the health and happiness of the people, and the revival of the country". In March 1959, when Tibetan reactionary groups publicly tore up the "17-Article Agreement" and launched an armed rebellion, the 10th Panchen Lama fought resolutely against the rebels. 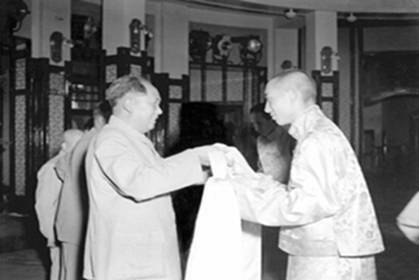 On March 28, Premier Zhou Enlai issued an order to dissolve the then local government of Tibet. 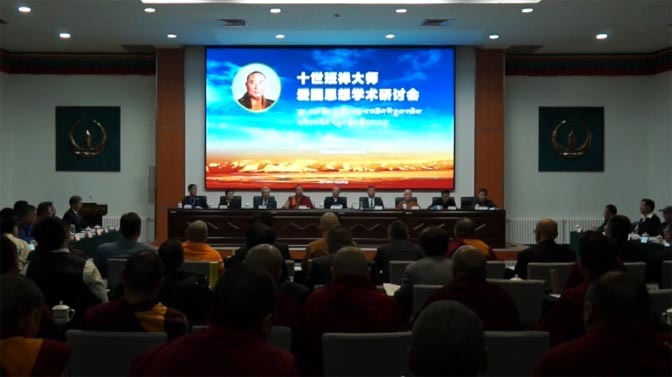 The Preparatory Committee of the Tibet Autonomous Region exercised the powers of the local government and appointed the 10th Panchen Lama as acting chairman of the Tibet Autonomous Region Preparatory Committee. On March 29, the 10th Panchen Lama sent a telegram to Chairman Mao and Premier Zhou, expressing his firm support for the decisions of the State Council. "In the middle of the 13th century, Tibet officially became under the direct jurisdiction of the central government, and Tibetans became an important group of multi-ethnic China. Since then, we Tibetans have experienced the highs and lows alongside other ethnic groups of the motherland. 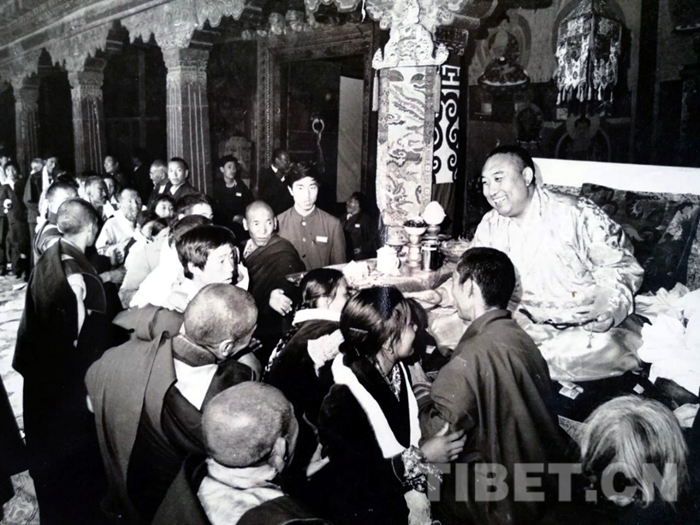 The future and destiny of Tibet are ever more closely linked to the future and destiny of the motherland," said the 10th Panchen Lama. He said: "History and reality show us that only under the leadership of the Communist Party of China and through firmly following the socialist path can the Tibetan people have a truly happy future. Therefore, we must protect the unification of the motherland as we protect our own eyes."